Since starting my career with Cabot a year ago one thing has always stood out in my mind: the ability of Cabot and its contractors to step forward during times of crises in the communities where we live and work. Earlier this month West Virginia was rocked by severe storms across the area which left hundreds of thousands of residents without power. With the power out long enough to spoil entire fridges full of food, local food banks have been depleted by the sudden and overwhelming demand. The emergency situation in West Virginia touched many Cabot employees. Cabot has several offices throughout West Virginia and many of my coworkers were without power for several days before it was restored. 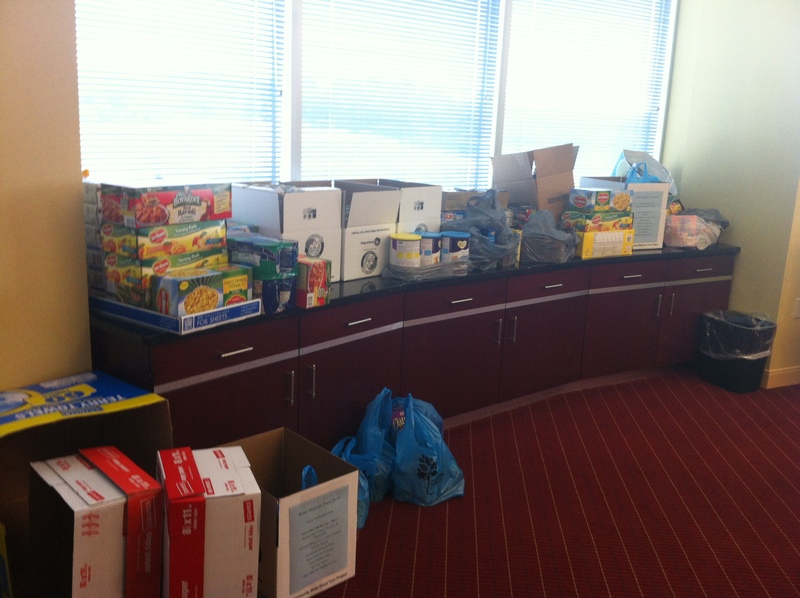 Others in our Pittsburgh office have family and friends who were impacted by the severe storms. Within hours of Governor Tomblin’s announcement of a food drive at the Capitol to replenish the food banks, Cabot was already mobilizing support. A check was immediately cut for $10,000 to aid in the purchase of food items and was delivered directly to Governor Tomblin by myself and West Virginia Cabot employees, Brian Atkins and Roger Crawford, on Tuesday evening. In addition, one of our subcontractors, Somerset Regional Water Resources, send down three pickup trucks worth of bottled water to distribute to those in need. You can check out more great photos from the event at the Governor’s Flickr site. I have a great appreciation for everyone involved in this campaign including Governor Tomblin, the local food banks, emergency workers and everyone who has given to the cause in any way.